I'm hoping you aren't expecting too many of these Bible character biographies to focus on the well-known Bible folks. Cuz, it seems, they're not the ones that are reaching out and grabbing me. Sure, Noah is pretty major, but the other three - Lot, Reuben, and Jochebed - are hardly the heavyweights. And this character? Well, let's just say you might have no idea who he is. I don't know about you, but when I think of the Lord filling someone with His Spirit, I think of evangelism. Preaching. Teaching. Mercy. Maybe even speaking in tongues. But that's not what happened here. Bezalel was filled with God's Spirit, which made him a craftsman - a worker in metals, stones, and wood. 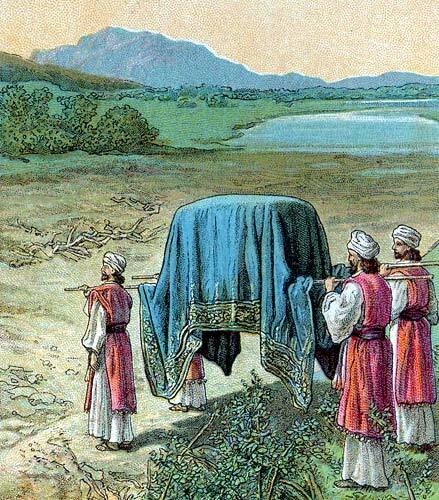 He was the one who made the tent of meeting, the ark of the covenant, and all the articles within it. 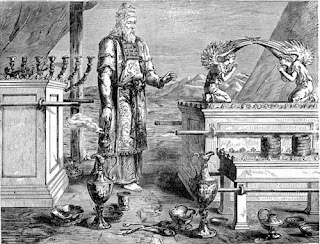 With help from Oholiab and some other artisans (Exodus 35:34), Bezalel designed, engraved, embroidered, and wove the tent of meeting, the ark, the atonement cover, clasps, bowls, candlesticks, cherubim, altars, priestly garments, and pillars - every sacred article for the tabernacle. He wasn't simply given talent. No, God filled this man, from the tribe of Judah, with His Spirit for the tasks He gave him. Not to preach or teach or prophecy, but to work with his hands. Perhaps it's not so surprising that this same God might use the same Holy Spirit (which is already within every NT believer) to help us with our tasks - whether they be spreading the Gospel or making a handmade card, discipling a new believer or writing a poem. He has done it before. And He never changes. Has God filled you with His Spirit for a task? How are you like Bezalel?